Our 208hp 7U CV Bus Case ships ready to use. Just add modules, patch cables and inspiration. The powder coated steel construction is 2 lbs. lighter than our wood Shared System case without compromising mechanical durability. 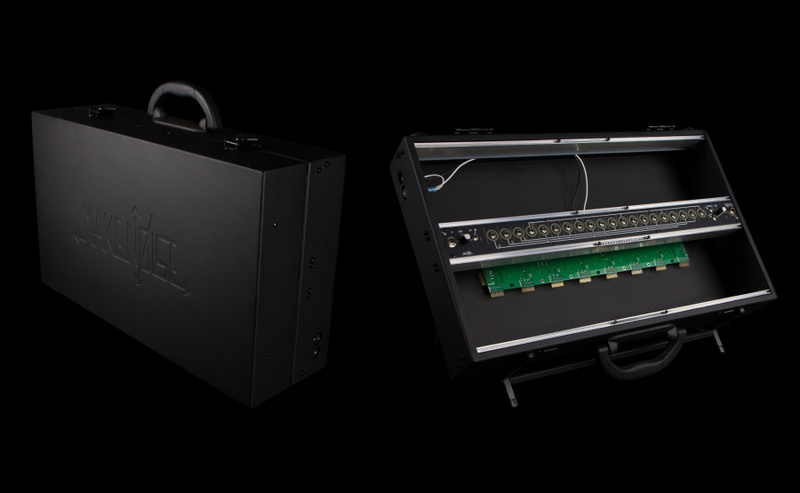 The sleek matte black finish was selected to match our line of Black and Gold modules, and it looks great with just about any module installed. This finish will show the story of your modular synth's travels over the years. 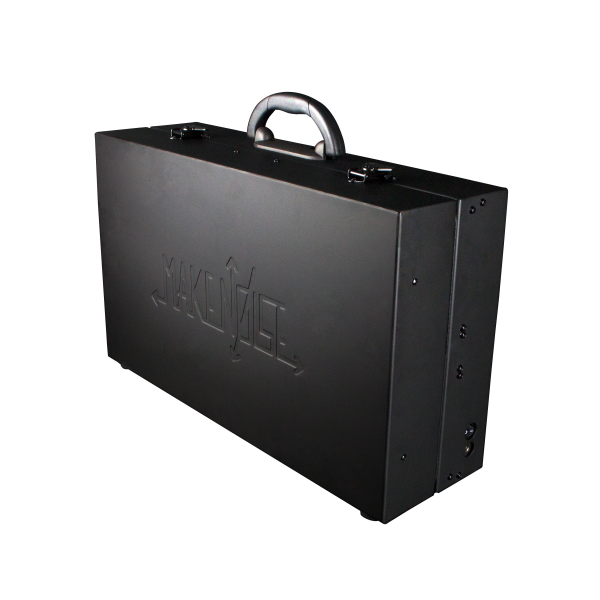 If you do not want that story to be told you will want to request your system to be built using our wood 7U case with scratch resistant black urethane coating.